Take time to make someone smile today! ENJOY your day! 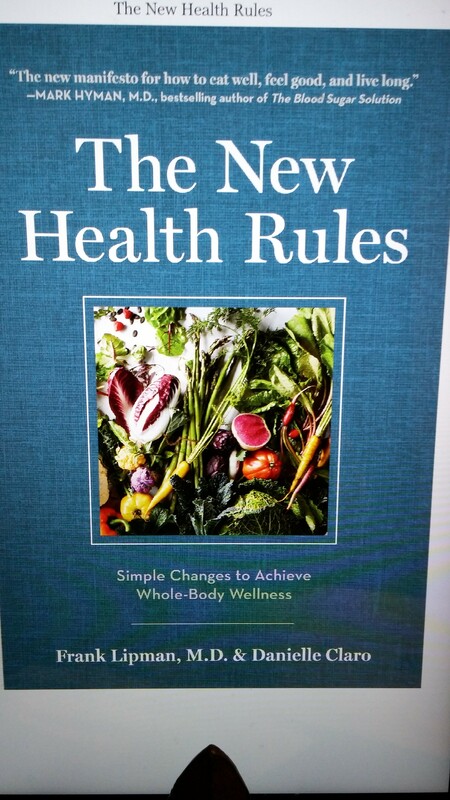 The New Health Rules: Simple Changes to Achieve Whole-Body Wellness By Frank Lipman, Danielle Claro. This is not the usual type of book for me to read. I had heard good things about it so I thought I would give it a try. I was pleased I had chosen it! This book offers great ideas, tips and suggestions on living well. You may not try each one and you may not even agree with all of it but overall I found most if not all of the information helpful to my health and wellness journey! It is a very quick read and worth reading!